SACRAMENTO, Calif. -- The California State Assembly has passed Gov. Jerry Brown's $52 billion plan to fix the state's roads through an increase in gas taxes and other vehicle fees. The bill passed with a vote of 54 yes to 26 no. The governor's 10-year plan calls for raising gasoline excise taxes by 12 cents a gallon. It would also increase vehicle registration fees and impose a $100 charge on emission-free vehicles. Brown has said the increase would equal less than $10 a month for most drivers. 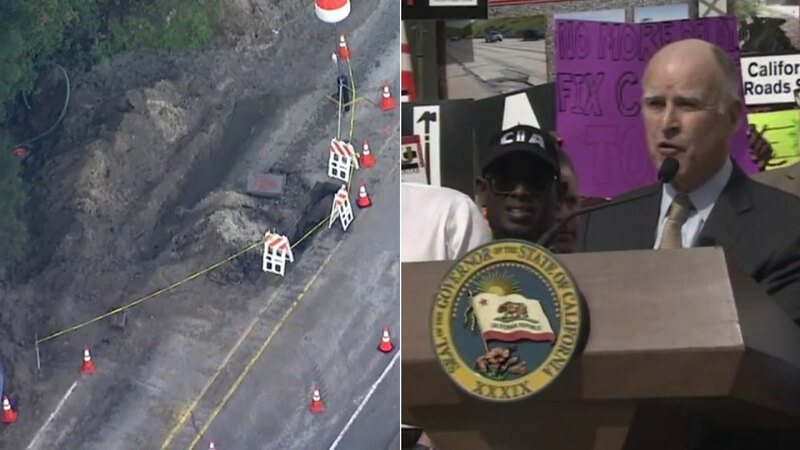 The Democratic governor has said California has $59 billion in deferred maintenance on state highways and $78 billion on local streets and roads. Last month he suggested tax increases may be required to address the problem. Lawmakers were in a rush to take action on SB1 by Thursday, before the state Legislature begins its weeklong spring break. The political challenge for the governor and Democratic leaders was winning some Republican support, because the bill requires a two-thirds majority in both houses of the Legislature. The proposal was designed to fix potholes and repair bridges, but also provide funds for public transit and biking and walking trails.